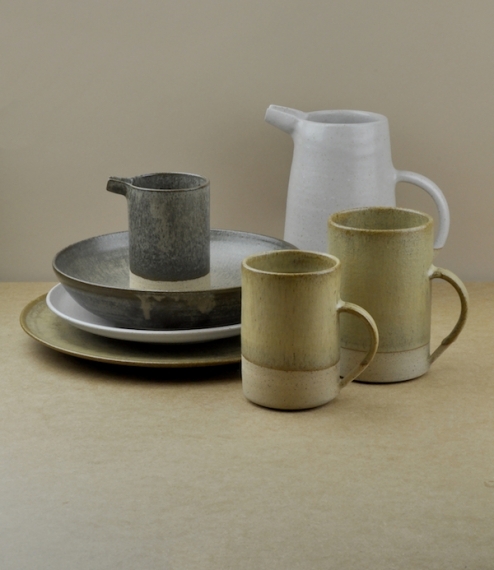 Hand-thrown in small batches, this range of stoneware is the creation of a husband and wife team based in Sheffield, South Yorkshire. Once thrown and trimmed, the pieces are glazed in either white, gold or slate glazes - hand mixed on site to their own recipe, then fired in an oxidised environment to create these beautiful, tactile pieces. 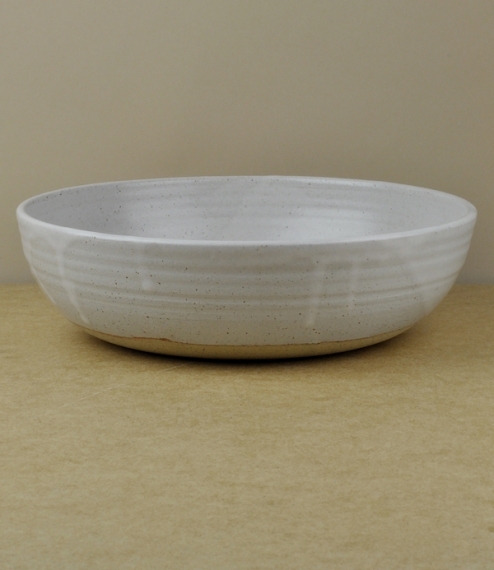 This large white mariners serving bowl is of approximately 27cm diameter by 7cm high.